The Red Hot Chili Peppers headlined the Leeds and Reading festivals in the UK over the weekend, and video of their full set at Reading on August 27 is available. The BBC have also issued individual clips of “Goodbye Angels” and “By The Way” from the weekend concerts. 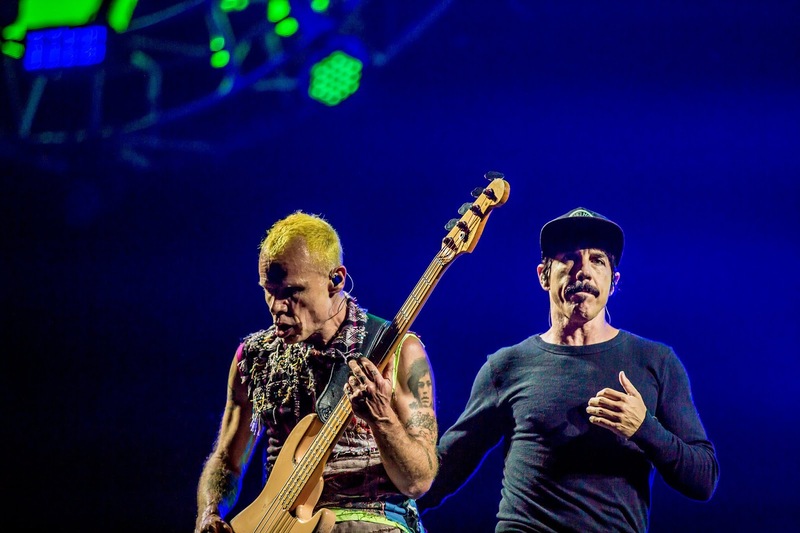 Following their weekend appearances, the Red Hot Chili Peppers will return to the UK for a late fall tour. Joined by openers Babymetal, the group will launch the 8-show run with a pair of dates at London’s 02 Arena starting December 5. Pre-sale tickets via the band’s fan club are available Tuesday, August 30 at 10am with general public seats on sale starting Friday, September 2 at 10am. Pre-sale fan club tickets are available Monday, August 29th at 9am with general on sale beginning Wednesday, August 31 at 9am.